Never take to the road without an ice scraper and brush on hand. These two-in-one devices can make the difference between you seeing the road or having your vision obstructed. Keep the ice scraper and brush in your glove box for easy access. It’s also smart to store a second one in your home for those mornings when your car is iced over. You should also have streak-free windshield wipers installed, and your heating system should be in optimal condition so it can keep your defrosters working. If your car breaks down, calling for roadside assistance is one option. However, if you’re out of cellphone range or the repair is minor, you may have to handle the problem yourself. Your standard emergency kit may not be enough during the winter, so expand it to include gloves, a snow shovel, an all-purpose travel blanket, an emergency warmer pack and an adult poncho. Double-check your kit to ensure it includes necessities like reflective triangles, a first-aid kit, flat tire fixer, duct tape, tools and extra batteries for your flashlight. Regardless of the season, jumper cables are a must-have accessory. Some emergency kits contain them, but they’re generally 4- or 6-gauge cables. Instead, choose a professional-grade 2-gauge jumper cables, as the wires are thicker and will start your car faster. Further, the cables should be at least 20 feet long to allow enough room between vehicles. Keep your jumper cables with your emergency kit in your vehicle’s rear storage compartment. Another must-have item among winter car accessories is some type of traction material. 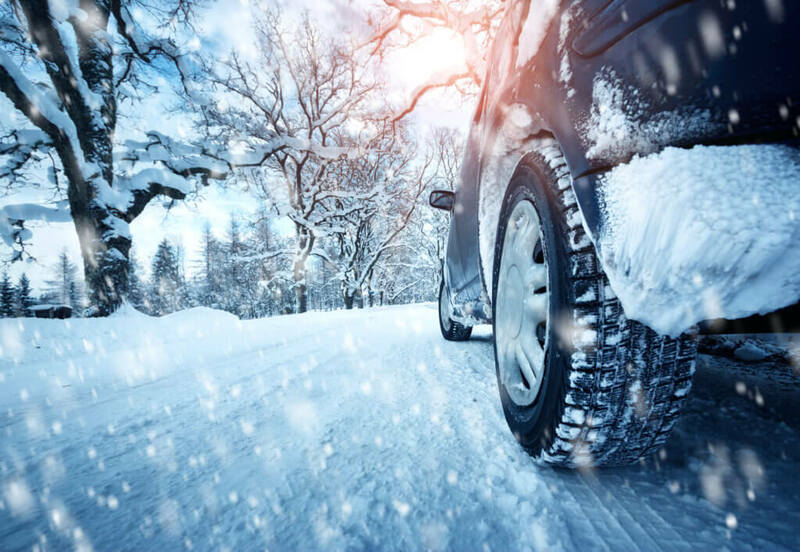 If you get stuck, your winter tires may not be enough to get you going again, and kitty litter or sand can provide the required grip. Ice melt is also handy, as it can remove frozen obstacles that your shovel cannot dispense. If you get caught without traction material, you can also use your car’s floor mats, explains Consumer Reports. Don’t think for a moment that you should take to the road without your car in top condition. From changing the oil to replacing the air filter and flushing the radiator fluid, your car’s essential maintenance tasks and when to complete them are outlined in your owner’s manual. If your car isn’t ready, then it’s best to stay home. You should also listen to the local weather reports to see if driving is restricted in certain areas. This means you may not be allowed to take to the road without winter tires or chains. No matter the season, always take to the road with a full tank of gas. A properly inflated spare tire and jack, a phone charger and a tire pressure gauge are essential items too. Finally, if your trip takes you far from home, include a blanket, dried food and water.